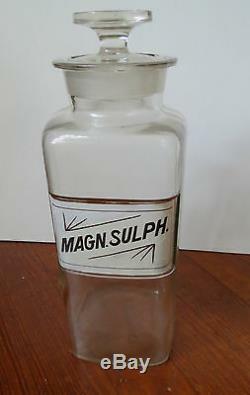 This large pharmaceutical bottle has a label under glass reading - Magn. 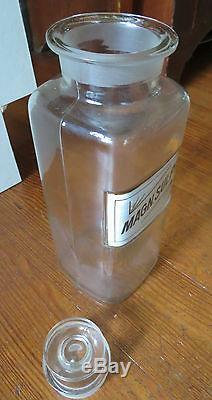 The bottle is square and has a wide mouth with a glass stopper. Both bottle and label are in very good condition. Bottom is marked - Pat. A great old apothecary bottle for your decor or collection. 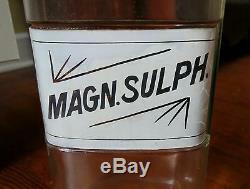 The item "ANTIQUE MAGNESIUM SULFATE LABEL UNDER GLASS LARGE APOTHECARY BOTTLE" is in sale since Saturday, August 5, 2017. 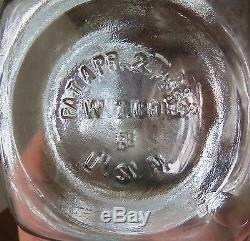 This item is in the category "Antiques\Science & Medicine (Pre-1930)\Apothecary & Pharmaceutical\Bottles & Jars". The seller is "redlands66" and is located in Norristown, Pennsylvania.